Poser YOGA offers a wide range of Yoga styles, plus other options like Pilates and Hip Hop dance. 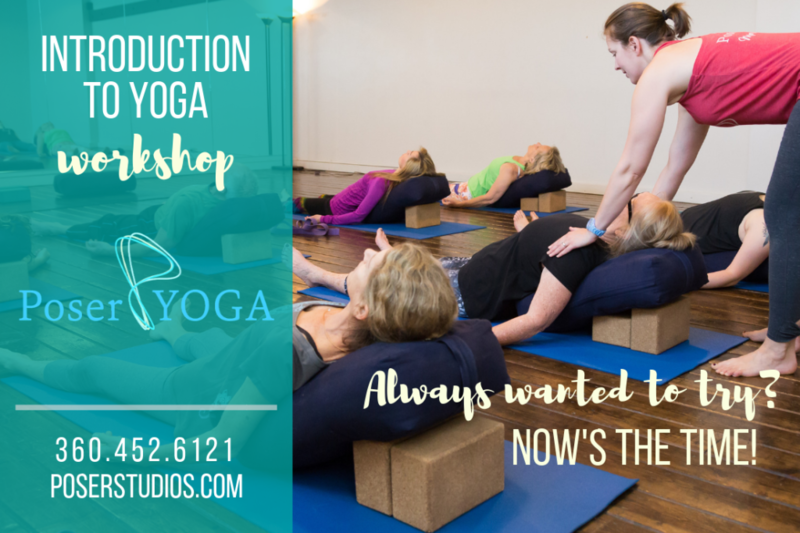 Absolute beginners, seniors, long-time practitioners, mothers-to-be, athletes… all are welcome to experience the tremendous benefits of yoga and movement. 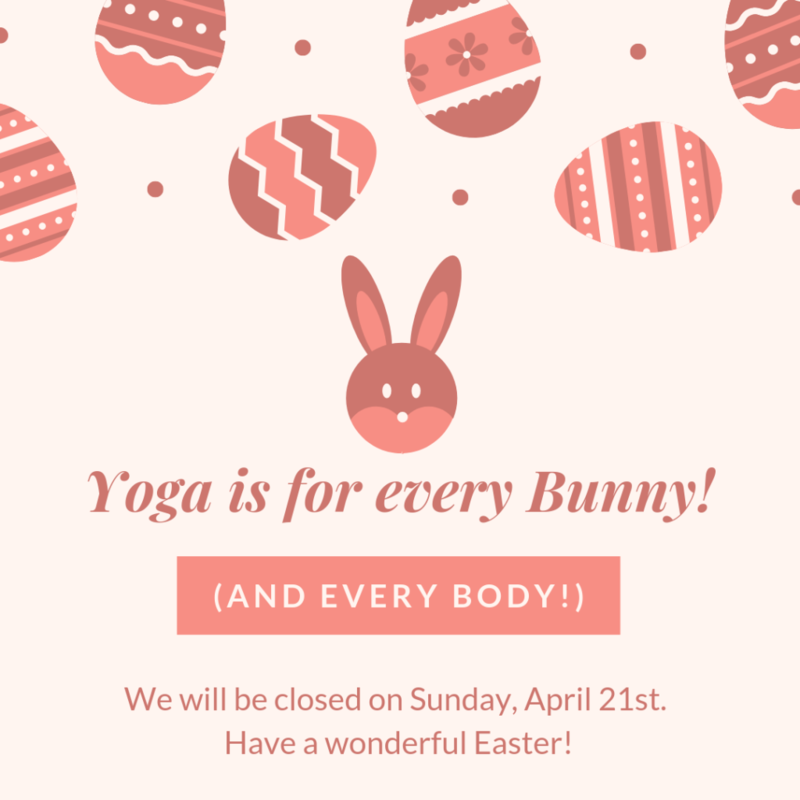 We will be closed at both locations this coming Sunday (4/21) for Easter. Are you searching for the perfect gift to give your mom this year? 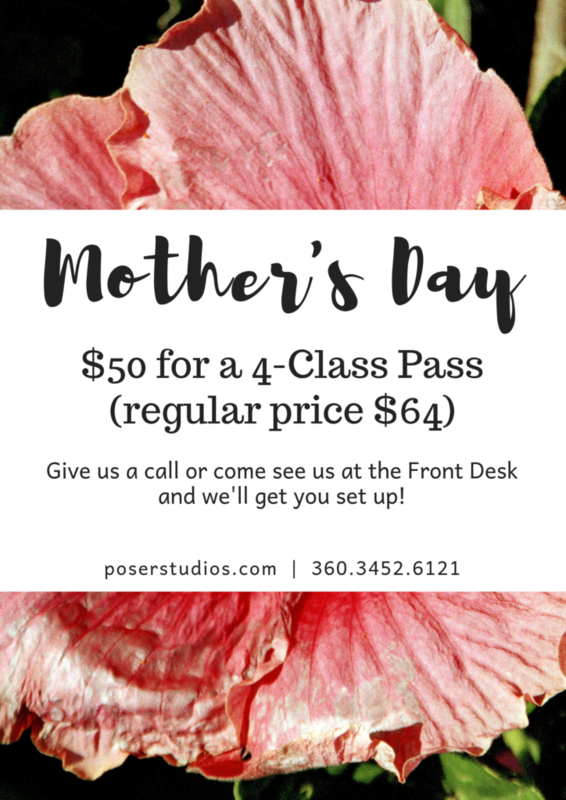 Call us at 360.452.6121 or see us at the Front Desk as we’ll get you set up! We’re offering 2 awesome camps this summer and we’d love to have your kiddos join us! 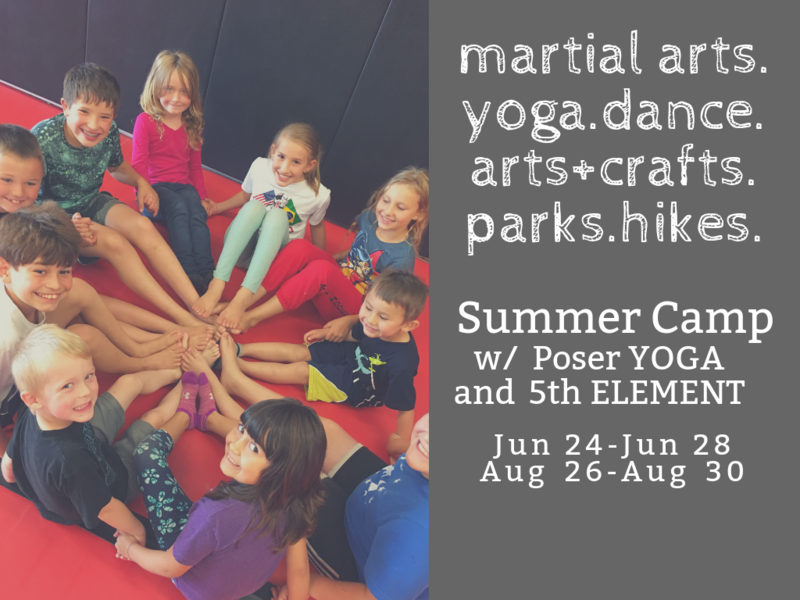 Martial Arts, Yoga, Dance, Arts & Crafts, Parks & Hikes! It’s the kind of camp WE all wish we had the chance to go to when WE were young! 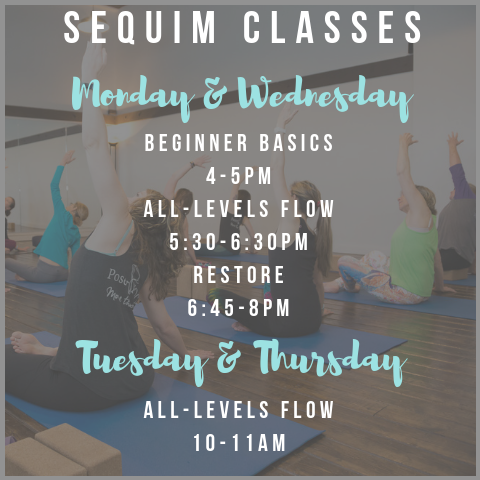 INTRO TO YOGA WORKSHOPS – Next one is May 18th in Sequim! 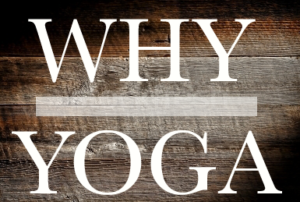 Have you been thinking about yoga? Are you nervous to give it a try and don’t know what to expect? Would you feel more comfortable knowing that everyone in the room is a brand-new beginner, just like you? Then this is the workshop for you! 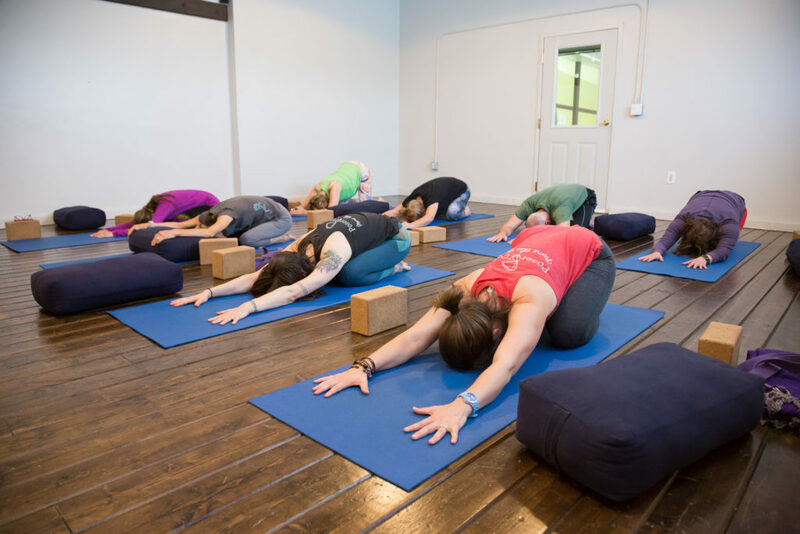 You’ll learn the basic fundamentals of yoga, meet a few of our teachers, get your questions answered, and experience a slow-paced, entry-level yoga class. Any and all levels of fitness are welcome and no experience is necessary – in fact, we’ll expect that! Bring a water bottle and wear loose-fitting comfortable clothing you can move freely in. Yoga mats and other props will be supplied. Space is limited and pre-registration is encouraged. Along with the newly named 5th Element BJJ (formerly CageworX MMA) we’ve branched out into new territory! Here’s a look at our small (to start!!) schedule in Sequim!! We’ll be adding more classes as we gain a better idea what is needed and wanted! So make your requests known! And the best way to support a class that you want to keep on the schedule… is to come to class! Join Poser YOGA for a fun Yoga flow, then rehydrate with a frosty pint of craft beer or a bubbly mimosa! 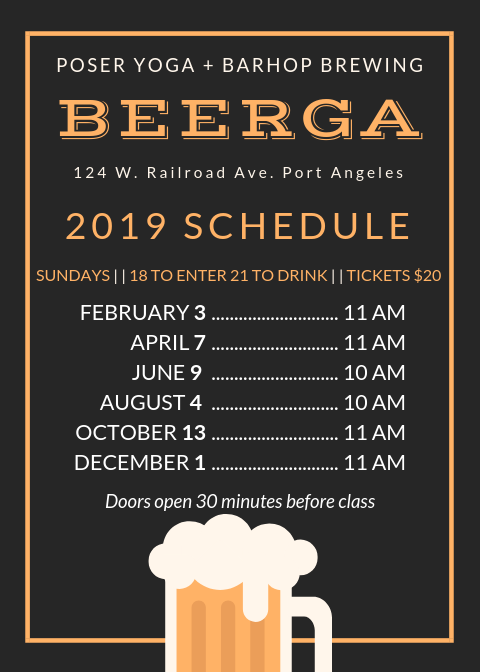 We have our brand new, 2019 schedule and our next Beerga will be Sunday, June 9th! 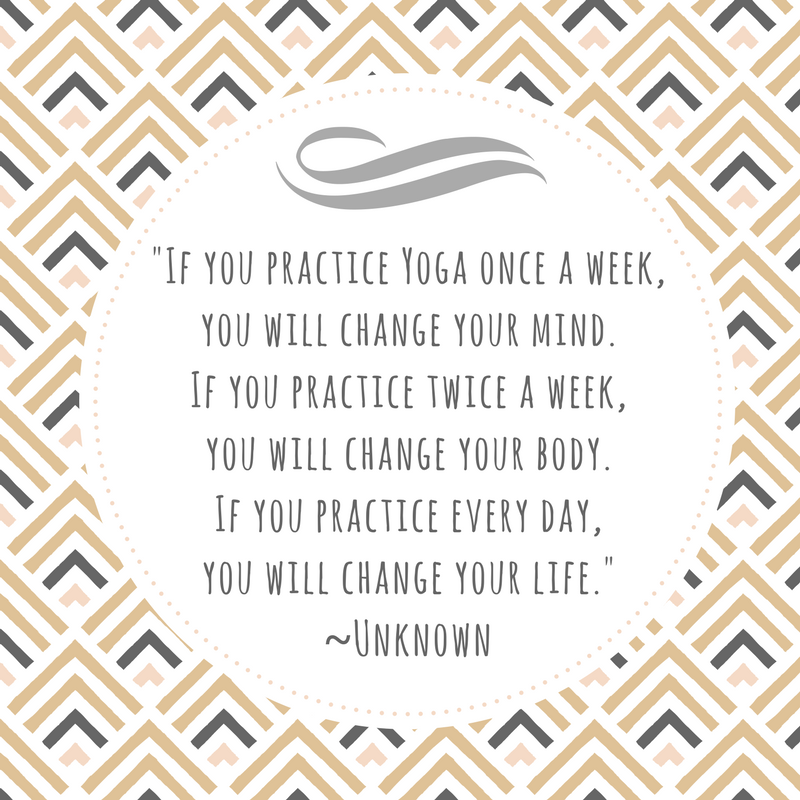 We’re making it even easier to maintain a regular practice! Choose from a variety of monthly options, and begin your journey towards transforming your LIFE! These passes are not available online; please ask us in studio and we’ll help get you started with a pass that’s perfect for YOU! 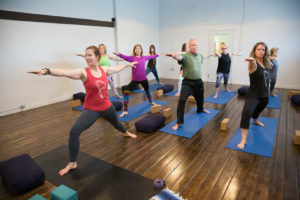 Originally founded as Kula Yoga by Travis Riemer, the studio was created to provide a safe and supportive environment where people could come and learn the art of yoga, enjoy its health benefits, and experience a deeper connection with themselves and others. 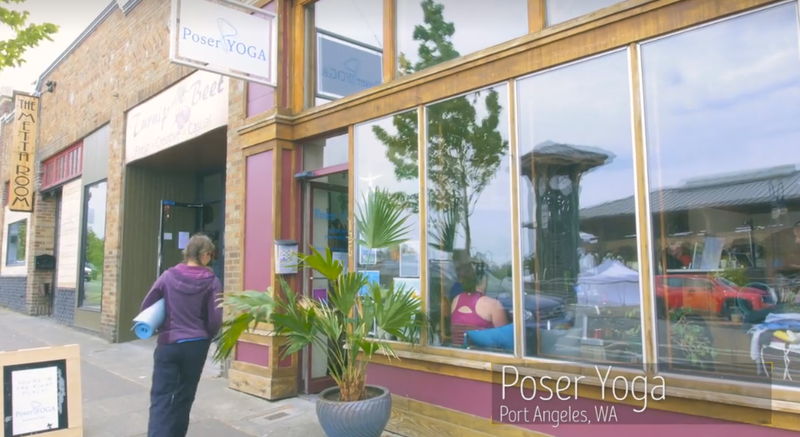 Continuing this original intention, Jenny Stewart Houston became the Director & Owner of the studio, reborn as Poser YOGA in 2014. A video can say it all… click on the photo to watch ours! Our location has changed, but the feeling’s still the same! Each of us has an amazing story to share. We’ve all been transformed by our yoga practice, and our stories are worthy of sharing. Please consider sharing your story or follow this link for more information on this project. Are you a certified Yoga teacher and you’d like to join our team of amazing instructors? Have you got a special workshop or event idea that you’d like to share with our Poser Yoga community? We love sharing!! Please tell us more by filling out this attached form! We’ll be in touch!